Watch The Bible series every Sunday in March at 8:00pm EST on the History Channel! The Bible is a powerful telling of stories from the Scriptures mixing live action with state-of-the-art CGI. 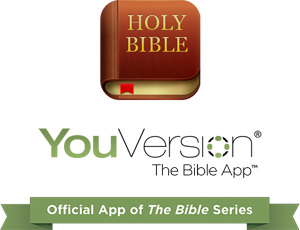 The Bible App was recently named the official app of The Bible series, a production of husband-and-wife team Roma Downey (Touched by an Angel) and Mark Burnett (Survivor, The Voice). See it every Sunday night this March.